Ficosa, a tier 1 global provider devoted to the research, development, manufacturing and marketing of high-technology vision, safety, connectivity and efficiency systems for the automotive sector, and Panasonic strengthen their capital and business alliance in order to develop new high-technology vision, safety, efficiency and connectivity solutions (connected cars, driverless vehicles, assisted driving and e-mobility), areas with great potential for growth. In addition to promoting the exchange of technology and products, this decision, which has been approved by the Panasonic Board, responds to the will of fostering regional and customer synergies, which bring extraordinary value to the business of both companies. As a result of this decision, Panasonic’s share in Ficosa International will increase 20%, going from 49% to 69%. The rest of the capital will remain in the hands of the Pujol family, founders of the multinational corporation, who will maintain its current share of 31% through Ficosa Inversión. This operation was already contemplated in the road map set at the beginning of the alliance between both companies, signed on 30 June 2015. In order to complete the transaction, other general preconditions and conditions need to be met, including obtaining approval from European and other relevant authorities. 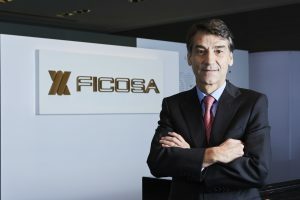 The company will continue to be led by the current Ficosa management team, with Javier Pujol as CEO, who will remain in charge of projecting the company as a global leader and of the success of future challenges. Due to this transaction, Ficosa’s Board of Directors will now have 7 members representing Panasonic and 4 members representing the Pujol family. As a consequence of this new scenario, Ficosa will become a Global Business Division of Panasonic’s AIS Automotive Business. This will make the R&D centre of Ficosa in Viladecavalls (Barcelona, Spain) a technology hub for the alliance in connectivity, e-mobility & ADAS (Advanced Driver Assistance Systems). “Panasonic and Ficosa hold each steadfast management philosophy, so we can expect to benefit from the synergy of further the business partnership between both companies not only in manufacturing electronic mirror systems, but also in developing technology to create a connected car. We will accelerate development by drawing on our respective strengths; I firmly believe this will enable us to realize a strategy for further growth”. “In recent years, at Ficosa, we have made important efforts to carry out a profound technology transformation based on developing products with greater value added in electronics and software. Nevertheless, the technological transformation that draws the current transition of the automobile is enormous and requires great investments. Therefore, Panasonic’s support is key to speed up synergies between both companies, consolidate our industrial project and gain the necessary critical mass to lead the transition of the automobile market in vehicle connectivity, autonomous driving, safety systems for increasingly assisted driving and e-mobility”. Ficosa Inversion will repay the debt incurred with the Government of Catalonia (€50 millions) in 2009 during the global economic recession and its subsequent subrogation in 2015, plus a performance of 29% through its own resources and the proceeds of this transaction. Since 2009, the group has doubled its sales –from approximately €550 million to €1.112 billion in 2015- and now has more than 10,280 employees worldwide and 1,700 in Viladecavalls. The company currently employs nearly 1,000 engineers around the world, more than 670 of whom work at the Technology Centre in Viladecavalls. In 2016, 217 new engineers were hired for this centre. The company has also doubled its R&D investment, which currently makes up approximately 6.5% of the turnover. In 2011, Ficosa took on the great challenge of taking the strategic step, which was not without risk, of strengthening its commitment to new technology by integrating the assets of the multinational corporation Sony in Viladecavalls. This commitment was one of the most important business restructurings in the country in recent years and meant that roughly 550 people were able to keep their jobs, 200 of which were in technical positions (130 engineers). The strategic plan designed by the company executives at the beginning of the crisis has made the group more profitable, a fact that has allowed Ficosa to invest important sums in recent years as well as being in a position to invest more than €500 million over the next 5 years.